Chiming in when Babysitting meets Technology! That led me to have conversations with a number of my friends, who are stay at home moms! “There’s never a moment to spare” said Ashley, “I would’ve had to cart my infant all around town, had I been in your place.” That’s when I introduced her to Chime by Sittercity! Haven’t heard of it? I urge you to get through this post, try it and tell me what you think of it! 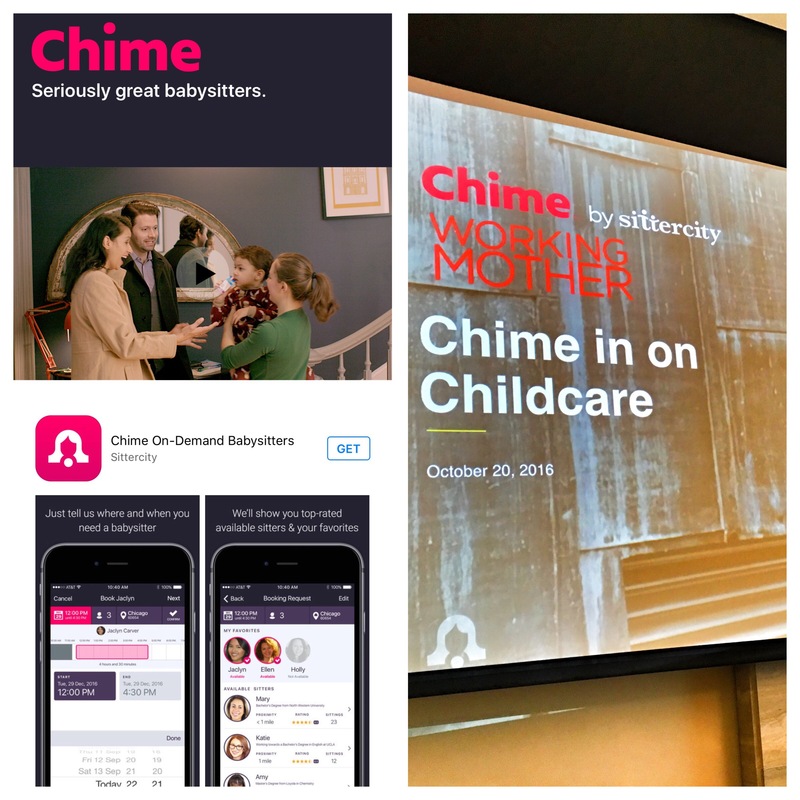 A wonderful app that enables parents to choose from a choice of sitters from Sittercity- a pioneer in online childcare, Chime connects urban parents with top sitters, in their vicinity. All sitters are handpicked from the top 1% of Sittercity’s national database and extensive reference and background checks, along with child safety and social media screens are conducted. I browsed to the app, and was impressed by what I saw- the quality of babysitters,and the ease at which I could book one, should I wish to. Sitting down to a luncheon followed by a Facebook Live event held at the ‘Working Mother’ Magazine offices, we met with the vivacious Genevieve Thiers, an enigmatic woman (I won’t be surprised to see her being politically active someday), and the founder of Sittercity. She says that “we are thrilled to be able to offer New Jersey parents a respite with the help of Chime, so that they can reconnect with their partner, loved ones, or their friends”. The Facebook Live event, opened up new areas of conversation, from issues on the upcoming elections and childcare benefits, to the role of women in the workplace. When Sittercity started up, it went into the market with a staggering inefficiency. Amongst so many other things including being an opera singer, Genevieve is an activist fighting for the past 16 years, to make it free for moms all over to find the absolute best caregiver. She uses Chime herself, to set up sitters for her 4 year old twins, when she is away. Chime has a 95% instant availability success rate- which means, you can have that girls night out when the husband is away- or even an impromptu date night doesn’t seem like a distant dream! This innovative app now gives every parent access to some much needed alone time and also makes for a great Holiday Gift, any parent will appreciate! Previous Get ready to Sizzle in Mississauga, Canada! I like the idea of this and wish it was more widely available. The rates are more than reasonable as well. In regards to your situation and question of “if I had a child” I would like to say that you probably would have just pulled your own wisdom teeth out. Hahaha you have me scared!!!! I can only imagine! Yes the rates are really reasonable and the sitters are so well qualified it’s fabulous. They are soon expanding!